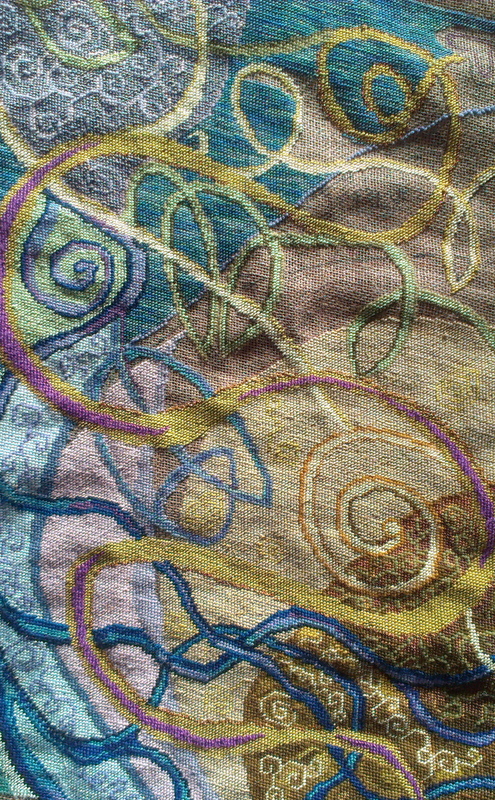 The Celtic Swirl is coming along – slowly and wonkily. I’m not sure that it will ever be possible to pull it into square, but as I’ve practically never managed to frame/mount/hang anything I’ve made, I don’t suppose this will matter. If I carry on at this rate, I’ll probably have it done before Christmas. Tart that I am, I’m probably going back to the linen scrim for the next piece – well I am a woman and I am allowed to change my mind. Oh I know what you mean – it always amazes me that we stitchers & knitters manage to find the time to blog at all. Look forward to seeing your next post – whenever.